Protect your home and all that is in it. We’ll find the best home insurance rates from multiple carriers to help you obtain affordable protection. Call or click to get started. The NICRA Insurance Program is designed to give retail ice cream and yogurt stores the coverages they need at a price they can afford. Call or click to get started. Let us shop insurance for you. Save on your next auto insurance policy for that new car. Call or click to get started. Protect your loved ones from your unforeseen absence. Life insurance is affordable and offers tremendous peace of mind. Call or click to get started. At Trahin Miller we’ll help you manage your risk like an expert. 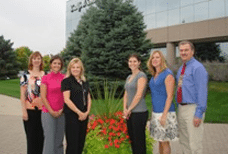 We are a full service independent insurance agency and work with a variety of carriers. Call or click to get started. The RBA Insurance Program has been saving bakeries money and providing specialized coverages for bakeries since 1996. We know it takes more than saving money on a quality product, you also expect and deserve great service. Be sure your employees are protected in case of injury while on the job. Call or click to get started. At Trahin Miller, we have created an approach to insurance that’s unique and beyond what you would expect. With combined industry experience of more than 70 years, owners Roger Trahin and Dana Miller bring both knowledge and personality to the discussion about your insurance need for your business, your employees, your belongings, and yourself. Our loyal staff stays up to date on the latest insurance options for you through continued education and certification programs, surpassing 100 hours of training annually. Our team also believes in keeping at the forefront of communication and technology trends. We are a full-service insurance provider offering business and personal coverage as well as employee benefits and life products. A blend of local and national clientele has enabled our company to grow steadily since our first association endorsement in 1996. We’re motivated to serve our valued existing clients with additional services as we pursue exciting new partnerships. Look to Trahin Miller to protect your business, your employees and your life. If form won’t load please click here.